At Shore, we embrace and nurture the joy and curiosity that our youngest learners naturally bring with them to school. In our newest early learning program, Pre-K 1, children under four get a just-right head start in learning and exploring with others—a model that will continue throughout their Shore career. In both Pre-K 1 and our existing pre-kindergarten program, Pre-K 2, an individually tailored curriculum balances outdoor discovery and play alongside social/emotional skill development and experiences in a full complement of subject areas, including music, physical education, Spanish, library, and our unique S.A.I.L. program (Science and Art Integrated Learning). 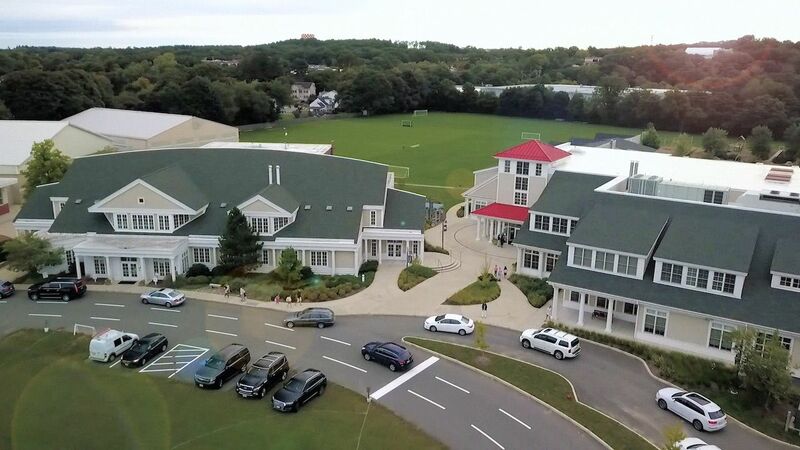 Our littlest students have access to all of Shore's incredible facilities such as the Innovation Lab, music classrooms, and the Omniglobe, all located in the Center for Creativity, the S.A.I.L. classroom and Shore garden, as well as the beautifully manicured fields for outdoor physical education. Pre-K students benefit greatly from their one-on-one interaction with their fifth grade Big Buddies, who converse, read, and play games with them. Kindergarten children are eager and ready to learn. Small ability groups accelerate early confidence in reading while energy and curiosity propel big-thinking ideas. Our bright and cheerful Kindergarten wing is equipped for both group and individual activities. The Kindergarten team focuses on an advanced curriculum that includes humanities with an appreciation for global learning, structured language arts and mathematics, as well as health class and library time. Music is taught with games, movement, and instruments that often integrate with the full curriculum. Physical education helps to develop the small child's spatial awareness and motor skills, while multiple daily recesses promote health, social growth, and class time focus. At Shore, there is a natural progression in the Lower School curriculum. Starting in first grade, students explore living things, learn to communicate their ideas clearly, apply math concepts that enhance their critical thinking skills, discuss the school’s Community Code, manners, and increase their library knowledge. Literacy growth continues with small reading groups, while personally tailored instruction allows student confidence and independence to grow exponentially. We invite you to check out our individual Pre-K, Kindergarten, and Grade 1 curriculum pages to see how Shore offers the premier elementary learning experience available on the North Shore. The best is within reach! Experience a day in the life of Shore students. From all-school morning House Meeting to afternoon sports and music, every day at Shore is full of inspiration. Our Pre-K students enjoy bouncing balls in the parachute during physical education. Kindergarten buddies and backpacks equals happy! Small groups enhances understanding math and improves critical thinking skills.